One of the many changes made by last year’s Tax Cuts and Jobs Act (TCJA) involves the treatment of like-kind exchanges, which are now limited to transactions related to real property. 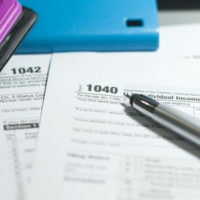 To find out how these changes could affect your own responsibilities come tax season, please contact a member of our dedicated tax return preparation legal team for assistance. Like-kind exchanges, also known as 1031 exchanges, are transactions that allow taxpayers to dispose of an asset and acquire another replacement asset without generating tax liability from the sale. In prior years, the most common types of like-kind exchanges involved exchanging one business for another, or one piece of real estate for another piece of real estate. Changes made by the TCJA have had a significant impact on when taxpayers can make these types of exchanges. For instance, as of January 1, 2018, only transactions involving real property that is held for use in a business, trade, or for investment will qualify for like-kind exchanges when it comes to deferring tax liability. Real property, also referred to as real estate, includes land and anything built on or attached to that property. As a result of these amendments, exchanges of intangible or personal property, such as equipment, vehicles, machinery, artwork, patents, collectibles, and intellectual property won’t qualify for nonrecognition of gain or loss as a like-kind exchange transaction. Fortunately, there are a few exceptions to this rule, as exchanges of mutual ditch, irrigation, or reservoir stock are still eligible for like-kind exchanges. It is also worth noting that any exchanges, even when they involve real property, will not qualify for a like-kind exchange if the asset was held primarily for sale. There is also a transition rule contained in the new law that allows taxpayers to make like-kind exchanges of some types of personal and intangible property. Under this rule, taxpayers who exchanged personal or intangible assets for replacement property before December 31, 2017, could still qualify for like-kind exchange treatment come tax season. However, in order to qualify for this exception, the two properties that are exchanged must be of the same nature or character, although they can differ in quality or grade. Taxpayers who qualify for a like-kind exchange must file Form 8824 with their tax return for the year that the transfer was made. When completing this form, taxpayers will need to calculate the amount of gain that will be deferred as a result of the transaction and also explain the basis of the like-kind property received, but only if cash or property that isn’t of like-kind was exchanged. If you believe that one of your financial transactions qualifies as a like-kind exchange, please call experienced Florida tax attorney Ronald Cutler, P.A. at 386-490-9949 to learn more about the steps you need to take when filing this year’s tax return.